JUST Reduced! 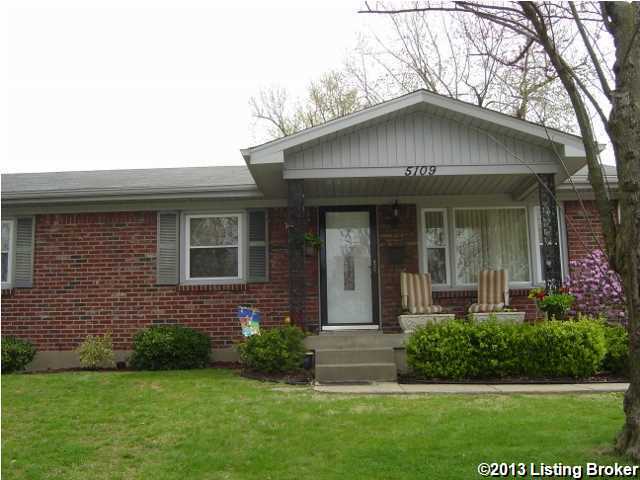 Spacious 3 bedroom brick home with covered front porch and basement. Maintenance free with beautiful landscaping. This home is larger than it looks. Hardwood floors under carpet. FAMILY ROOM ADDITION makes home great for entertaining or just enjoying a quite evening by the fireplace. The basement offers a bonus room with an attached super nice full bath. This room could easily be a home office. New windows, freshly painted all through house, new counter tops. Room for everyone! FIRST floor family room and additional living area in the basement perfect for game room. Pool table can stay with property if buyers wish. Nice neighborhood! Please see home to appreciate all that this house has to offer. Very well taken care of property. Direction: Dixie Highway to Lower Hunters, Right on Mount Everest Dr, Left on Mount Holyoke Dr then Left on street. Wilkie Heights is a subdivision within the city of Louisville, Kentucky. There are currently 0 Homes for Sale within Wilkie Heights, with asking prices ranging from $0 to $0. The average list price per square foot of the available inventory in Wilkie Heights is $0, which is the Louisville average of $157. The Average Sales price of all sold real estate in this subdivision for the past year is $161,500. Recent comparable homes have been selling for 97.52% of their asking price. Waterfront homes represent of the available Wilkie Heights inventory. The population of Louisville, according to the 2010 Census, is 597,337. The total number of households in the zip code of Wilkie Heights is 16,768, with an average household size for of 2.41 people. The total number of renter households within the zip code of 40216 is 5,527, which means that 67.04% of households in this zipcode are owner occupant households. 5109 Mount Marcy Rd, Louisville KY 40216 is a Home, with 3 bedrooms which is recently sold, it has 1,972 sqft, 0 sized lot, and Driveway,No Garage parking. A comparable Other, has bedrooms and 0 baths, it was built in and is located at and for sale by its owner at $ 0. This home is located in the city of , in zip code , this County Other, it is in the Subdivision, and CLOVERLEAF are nearby neighborhoods.